The National Institute for Research and Development of Marine Geology and Geoecology (GeoEcoMar), established in 1993, is a centre of excellence in research and consultancy on marine, coastal, river and lacustrine geology, geophysics and CO2 storage. Work related to the CO2 geological storage began with the affiliation of the institute to ENeRG in 2001 and continued with participation in national and international projects related to CCS – EU GeoCapacity, CO2NetEAST, CGS Europe and CO2Stop. 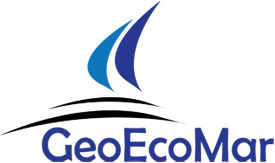 GeoEcoMar is the founder member of CO2 Club in Romania and the coordinator and dealt with the CO2 storage part of the feasibility study for the GETICA CCS demonstration project. The institute also actively supported the transposition of Europe’s CCS Directive into Romanian legislation.